Isabella Stewart Gardner Museum video: Why is stolen art so hard to find? 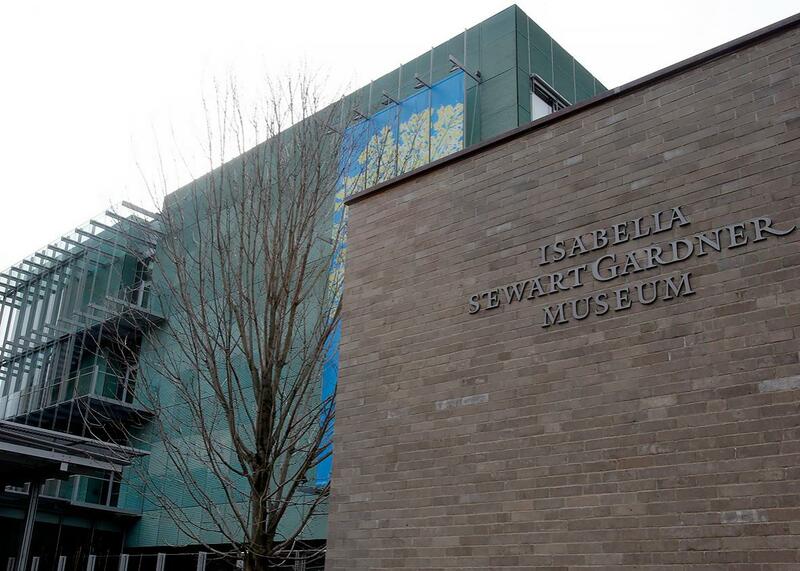 The Isabella Stewart Gardner Museum heist has gone unsolved for 25 years. That makes it very, very typical. The Isabella Stewart Gardner Museum, pictured in Boston on March 18, 2013, was burglarized in 1990 in the costliest art theft in U.S. history. Twenty-five years ago, two thieves dressed as police officers bluffed their way into Boston’s Isabella Stewart Gardner Museum and made away with $500 million of artwork by Rembrandt, Vermeer, Degas, and others. The thieves didn’t cover their faces, and they apparently didn’t know much about what they were stealing: They roughly cut the paintings from their frames and left more valuable works hanging on the walls. Despite the thieves’ apparent inexpertise and the ensuing media attention, no suspects were ever arrested and the art was never recovered. Authorities believe the robbers were regional gangsters, but nobody really knows where the art has been stashed, or if it’s even still intact. The Gardner robbery is the biggest and most frustrating art heist in American history—and it’s as cold as cold cases come. 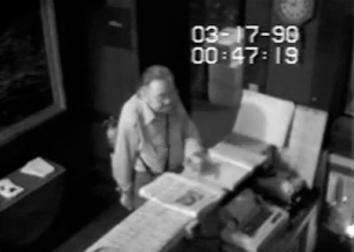 Last week the FBI released to the public some previously unseen evidence in the Gardner case: a low-resolution security video that shows an unannounced visitor coming into the museum about 1 a.m. the night before the heist in what analysts have speculated might have been a “dry run” for the following evening. With a case as cold as the Gardner heist, any new information is welcome, and the FBI has already fielded tips about the possible identity of the unknown visitor. But far from inspiring confidence that the mystery will soon be solved and the art soon recovered, this new evidence just seems to underscore how little investigators have had to work with over the years, and how little they’ve done with what little they’ve had. The Gardner heist isn’t the only art crime that has stymied investigators. Art crime is reportedly a $6 billion problem every year, and that figure is probably too low, since it accounts only for the crimes that are reported, and many are not. When thieves are caught, it is often through sting operations in which undercover agents pretend to be black-market buyers; this, for example, is how Scotland Yard snared some of the men responsible for heisting Edvard Munch’s The Scream from a Norwegian museum in 1994. At other times, old-fashioned police work can crack a case open; the man who stole a Cellini sculpture from a Vienna museum in 2003 surrendered three years later after police distributed surveillance photos of him buying a cellphone he used to call the sculpture’s insurers and demand a ransom payment. But investigative triumphs like these are not the norm. In his book Crimes of the Art World, Thomas D. Bazley wrote that 90 percent of stolen art objects go unrecovered. To a layman, this statistic seems really surprising. Art is conspicuous, after all. Why are art crimes so difficult to solve? It’s certainly not because most art thieves are criminal masterminds. In fact, it’s the noningenious nature of most of these crimes that can make them so difficult to solve. Popular culture has given art thieves an unwarranted good name. In movies and television programs, they are traditionally portrayed as gentleman burglars, gallant charmers in turtlenecks whose elaborately planned capers usually involve grappling hooks, acrobatics, and seduction. In his 2010 book Priceless: How I Went Undercover to Rescue the World’s Stolen Treasures, former FBI art theft investigator Robert Wittman called this depiction “uniformly bogus.” Rich, multilingual aesthetes don’t rob museums; they pay $25,000 to attend gala dinners hosted inside of them. In fact, the great majority of museum thefts involve museum staffers and others with special access to the collections. Sometimes these insiders work in tandem with outside criminals, sometimes they work alone. These solo heists—if you can call grabbing something from archival storage, sticking it in a backpack, and walking out the museum door a heist—can go unnoticed for long stretches of time; often, by the time the museum realizes a work is missing, little physical evidence remains to implicate the thief. Many art crimes are crimes of opportunity, presented by lax and inconsistent security measures at museums and galleries. (No, most museums don’t actually protect their treasures with intricate laser-light grids.) In an essay for the anthology Art and Crime: Exploring the Dark Side of the Art World, the criminologist A.J.G. Tijhuis mentions the 1961 theft of Goya’s The Duke of Wellington from London’s National Gallery, a heist that prompted “wild speculations” from the British press and public. When the thief turned himself in four years later, he turned out to be no criminal mastermind, but “an overweight old man who had simply entered the building via a ladder that was left there by some constructors.” Take that, Thomas Crown Affair! The result is that a lot of stolen art just sits in storage once the thieves realize they don’t know how to sell it and they’re afraid to return or ransom it. (“[O]btaining the ransom without exposing oneself in practice turns out to be far more difficult for criminals than the actual theft,” writes Tijhuis.) Since the thieves aren’t flaunting these paintings in public, and can’t sell them for cash that they might subsequently spend in a conspicuous manner, their trails soon go cold. That’s one reason why these cases are hard to solve. Another is that most law enforcement agencies simply aren’t up to the task of solving them. In his essay “Who Is Stealing All Those Paintings?” Tijhuis reveals that his titular question is difficult to answer due to “the rather limited interest of most police services in the theft of works of art. … [I]n most countries, no special art theft units exist within the local or national police services. Furthermore, data on art thefts are usually not registered in national or international databases—indeed, no complete databases exist worldwide.” If an artwork stolen in Denmark makes its way to France, the Gendarmerie might not know to look for it. Italy leads the world in art theft investigations, with a well-staffed investigative unit that can marshal vast resources to track and recover stolen works. In this, as in so many other things, the United States is inferior to Italy. According to Robert Wittman, the Los Angeles Police Department is the only American police department with a full-time art theft investigator on staff; when art is stolen in other American cities, the case is simply assigned to general theft investigators with no special expertise in art theft. The FBI is better equipped than local cops to investigate art crimes—but not by much. Wittman was for many years the FBI’s lone undercover art theft investigator, infiltrating the black market in order to recover pilfered paintings and identify their thieves. “Now that I’ve retired, there is no one” at the FBI who fills that role, he wrote in 2010. “The art crime team still exists—it’s managed by a trained archaeologist, not an FBI agent—but turnover is rampant.” According to the FBI’s website, there are 15 special agents on its Art Crime Team. As of 2010, there were about 300 people on Italy’s Carabinieri Art Squad. When the FBI does investigate art theft, the investigation is typically headed not by the bureau’s art crime team, but by the field office in the city where the theft took place. Thus the Gardner Museum heist investigation has for 25 years been run out of the bureau’s Boston Field Office. All the books and articles I’ve read on the Gardner heist agree that while these agents have worked very hard to solve the case, they haven’t always worked smart. In Priceless, Wittman writes bitterly of heading an undercover operation that brought him tantalizingly close to recovering some of the stolen paintings, only to see the operation fall apart thanks to unnecessary interference by his FBI supervisors. “Bureaucracies and turf fighting had destroyed the best chance in a decade to recover the Gardner paintings,” he wrote, and while Wittman is anything but an unbiased narrator, you can understand his frustration at being prevented from working the case on his own expert terms. An unidentified man is seen allegedly being allowed inside the Isabella Stewart Gardner Museum, against museum policy, by a security guard, in a still image taken from security video taken March 17, 1990, and released by the FBI on Aug. 6, 2015. One of those guards, Richard Abath, is now at the center of the latest information in the Gardner case. The newly released FBI video shows Abath letting an unknown individual into the museum after it had closed; the visitor stays briefly and then leaves in a hatchback car that resembles one seen outside the museum the night of the crime. The video is interesting, and would have been even more interesting in 1990, when the thieves’ trail was a bit fresher. But writing for the Boston Globe on Aug. 6, Milton J. Valencia reported, “Several law enforcement officials said the video appears to have been overlooked and mixed in with other evidence at the onset of the case.” In Wittman’s Priceless, an Italian art crime investigator calls the world’s dismal record on stolen art cases “a paradigm of collective delinquency.” The fact that this Gardner video is only now being brought to the public’s attention, 25 years after the museum was robbed, would seem to prove that assertion.